Prospective parents and pupils are offered a tour of the school with a pupil and the chance to attend a talk by the Headmaster, Simon Severino. Small group tours are also run most Tuesday and Thursday mornings from 9.30am, from September until mid-November. Spaces should be booked via the school office on 020 8557 1519. 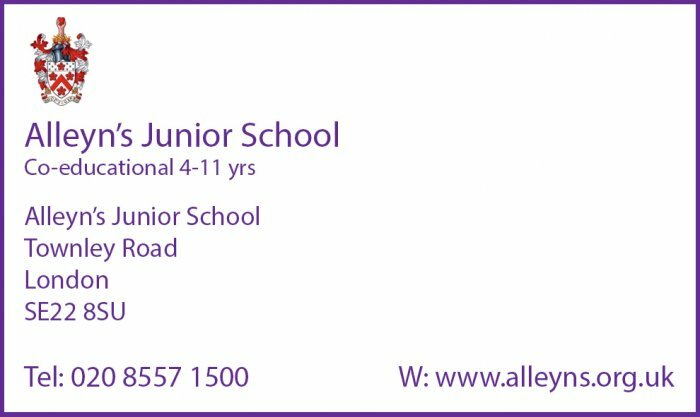 Applications for potential entry to Alleyn’s Junior School in September 2017 will be accepted from 1st September until 18th November, 2016. There is no need to book; everyone is welcome to just turn up on the day. We would be delighted to meet you and your children. Alleyn’s Junior School is using the latest technology to help children learn across the curriculum. 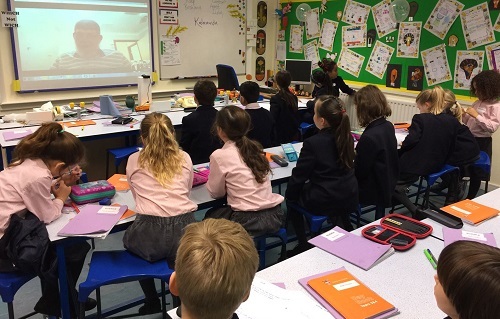 Their year 4 pupils used Skype to interview an Australian conservationist to support their learning in science and humanities. The project focused on a proposed development in Perth where the local council wants to cut down a large patch of forest land to develop a retirement village. After watching a video about the area, the pupils discussed the development plans and debated the pros and cons of the forest vs redevelopment. They then joined a local conservationist, via Skype, to interview him about the situation. The Year 4 pupils then wrote about their experience and expressed their final opinion. Science Co-ordinator at Alleyn’s Junior School, Brett Goldspink says; “Using technology in this way benefits the children’s learning generally and gives them a wider perspective on environmental issues such as deforestation. This is just one of the ways in which we’re creating a blended learning environment for the children and helping them to navigate the digital world." Alleyn’s Junior School has recently been awarded the Gold PSQM (Primary Science Quality Mark) which is like a subject-based OFSTED. Staff performed a self-evaluation and identified areas of strength and areas which required development across the 13 areas of assessment. From this, an action plan was developed and submitted to PSQM by the AJS Science Co-ordinator. During the year, evidence was collected, meetings were attended about sharing good practice with other schools who were applying, a diary of events and trips that occurred in Science were kept, as was a diary for training and professional development.